Showers this evening, becoming a steady rain overnight. Thunder possible. Low 62F. Winds SSE at 5 to 10 mph. Chance of rain 90%. 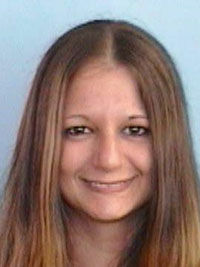 A McDowell woman wanted for breaking into a Nebo residence was captured in Burke County after a Crime Stoppers tip. Candice Nicole Wing, 30, address listed as Fleming Avenue in Marion, was arrested by Burke County sheriff’s deputies after they received information that she was staying on Jenkins Road in Morganton. She was a fugitive from McDowell, wanted for breaking and entering and larceny after breaking and entering. It is believed that Wing broke into a residence on Paradise Circle in Nebo between Thursday, Jan. 3 and Sunday, Jan. 6 and removed a washer and dryer, a grandfather clock and money with a total value of $7,600. Wing’s bond was set at $20,500.